Aiming to attract more high-end visitors, the Fort Lauderdale International Boat Show is adding VIP packages for this year’s edition. For nearly $400 per day or almost $1,100 for three days, the packages offer valet parking, entry to the show and all-day access to an air-conditioned VIP lounge at the Hall of Fame Marina that features gourmet food, a premium open bar and a concierge. The concierge can help VIPs with appointments for private tours of the top super-yachts and access to other private boat-show events, show organizers said. The VIP packages are the first ever offered for the annual boat extravanganza, set this year for Nov. 5 to 9, said Brett Keating, vice president of consumer marketing at organizer Show Management. To lure the heavy-hitters, show organizers teamed up with a company known for developing high-end packages for attendees at other major events. They’re working with Quint Events of Charlotte, N.C., which also offers VIP packages at the Kentucky Derby, Super Bowl, NBA All-Star Game, Barrett-Jackson Las Vegas Collector Car Auctions and other headline events worldwide. 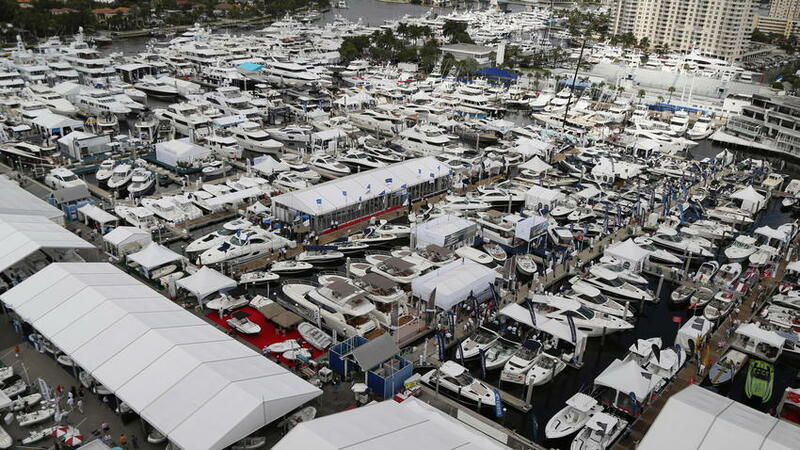 “Because they produce so many of these VIP events, they can tap into their existing clients base” to draw VIP guests to Fort Lauderdale for the world’s largest in-water boat show, Keating said. Organizers hope to sell about 200 to 300 VIP packages to the show this first year, Keating said. Read more about this in the Sun Sentinel.